Super Trend Bars is a trend finding indicator. It tries to find the trends that are most likely to trend. 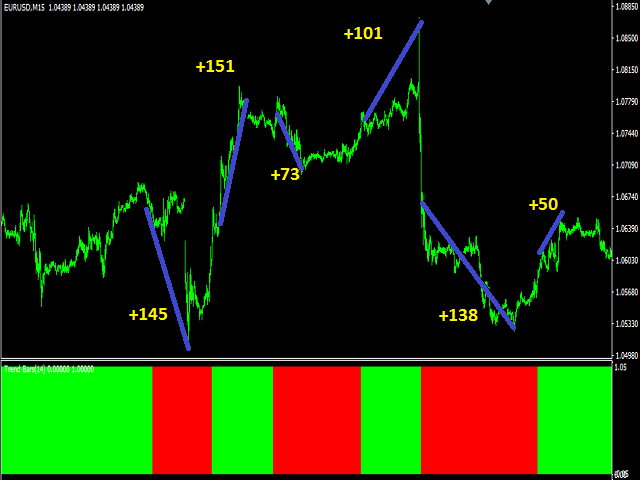 A set of indicators and a set of algorithms. Trend probability changes color when it finds a high trend. The red color represents the declining trend. The lime color represents the upward trend. Super Trend Bar changes color when it finds a trend. This indicator is a trend indicator by itself. It can operate without the need for additional indicators. When you see the first lime color to do the BUY transaction. The stop loss level is the first red color. 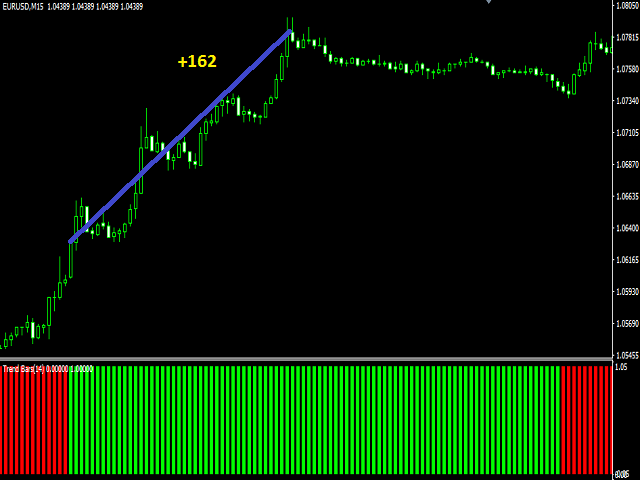 Make a scrolling of the stop loss with the level of take profit. 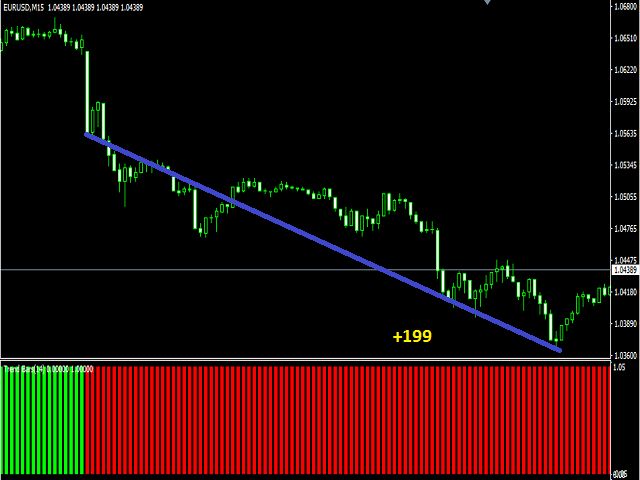 Shift the level of stop loss to the longest possible distance. Because it searches for great trends. Do the same for the sell operation.